We've been back from SXSW for over four weeks now, but we're still on a high from how amazing the trip was! One of the highlights of our week in Austin for SXSW was the Weekly Dig/Converse day party Boston to Austin. 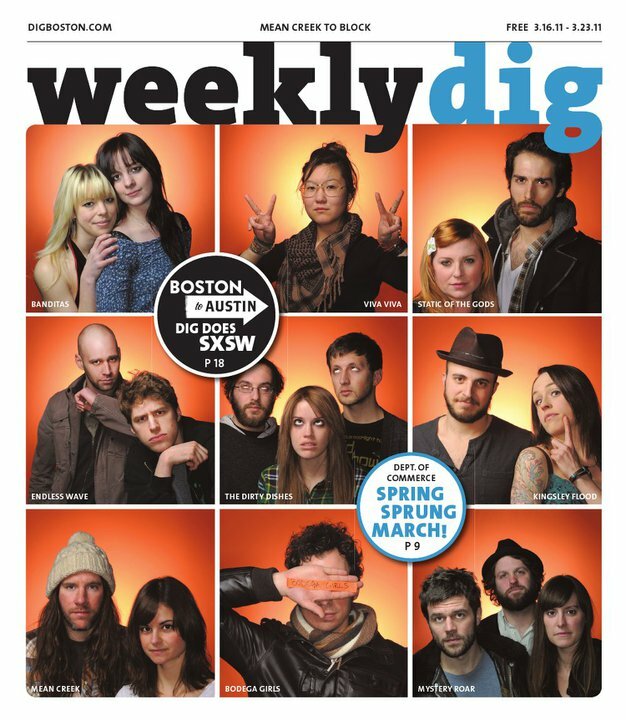 Both the Weekly Dig and Converse represented Boston to the fullest, by bringing nine amazing bands down to Austin to showcase the incredible music scene we have here in Boston. Lots of friends and family came out to The 512 on E 6th to celebrate St Patrick's Day and Boston! The day before the party, back home on the streets of Boston, the Weekly Dig launched their SXSW preview issue, featuring a great cover, with none other than our own, beautiful Fumika representing the band and looking amazing. Converse put together a great video highlight of the party. They also sat down and interviewed all the incredible women of Boston that make up the bands spotlighted in the Boston to Austin showcase, in order to get their take on being "one of the guys," and stereotypes. Of course we also made a video for our tour diary. Check out our performance of Heartbreak Sweepstakes from the Weekly Dig/Converse Boston to Austin showcase. If you weren't able to catch us in Austin, we brought the party to your computer!